Teachers, how do you communicate with parents? Are you leveraging pro-active communication, or waiting until ‘something happens’ to make your first contact (definitely not ideal). I know a large part of the education workforce is comprised of ‘digital immigrants’, but with a little time and motivation, all teachers can (and should) utilize technology to increase communication with parents and students. It’s definitely not too late to start this school year. Here are my eight favorite ways for teachers to communicate with parents (and students) – let me know if I’ve missed one that you use, and which way is your favorite! And parents – what tools do you use to connect with your child’s teacher, and how do they reach out to you? Still smiling after a long week of teaching! Email – This is the easiest way to start communicating with parents. If your school doesn’t collect email info at registration, consider asking for it on a take-home handout, or better yet, create a Google Form (see below) and ask for it. I know teachers who send out weekly updates, communication when they start a new unit, or only email at grade reporting time. I personally like to send out proactive, positive emails at the start of the year to build my relationship with parents before anything challenging happens. Teachers can even keep documents with scripts they use on a regular basis as a template. Email is perfect for beginning digital immigrants! Weekly progress reports – As an AVID teacher, I require my students to utilize a weekly progress report that they take to their teachers for information about their grades and citizenship. They also set goals and track their GPA. This year I’m going to experiment with using Google forms for students to enter their data and then share with their parents. I think a running record of grades, citizenship, GPA and goals would be a great conversation starter for dinner table conversations, and by sharing it with parents, we would ensure they have seen the most current information about their child. School Data Systems – My school uses School Loop for grading and data, and I’ve found that updating the assignment calendar weekly and entering grades bi-weekly really has made grading conversations much more proactive and meaningful. For big assignments, I quickly enter a ‘0’ if not turned in on time; this reminder has really helped increase my turn in rate, and parents appreciate the timely feedback. I do educate my parents at BTSN about my turnaround rate for grading, and let them know that it’s not up to the minute. I remind parents to use School Loop as a conversation starter, and to have their child follow up with me (rather than the parent taking me on) so we can resolve any confusion. Remind – Knowing that teens respond much more readily to texts than email, I began using the Remind.com system to send communicate reminders about assignments, due dates, or just to send encouraging messages or digitally share relevant materials I come across when I’m not teaching. I love that Remind doesn’t require the sharing of phone numbers – it’s a free service that allows subscribers to send/receive text messages. Set up and subscribing are easy – and teachers can set office hours, too! Social Media Facebook/Instagram/Twitter – Since social media is such a part of our society in the 21st century, why not harness its reach and use to communicate what’s happening at school? I know many teachers and counselors who set up Facebook pages (separate from their personal page) to share relevant material for their students. Parents love to see what’s happening in the classroom – why not set up an Instagram account for your class and post snaps of lessons, activities, and field trips? Twitter is a fun way to showcase what’s going on at school, too. Websites – Blogs are a fun and easy way to communicate both informational materials as well as showcase student work. WordPress and Blogspot offer free blog space, as does Google Sites. If your school site doesn’t offer you a website, try using a blog to start one for yourself. Kidblog is another fun tool for student blogging. 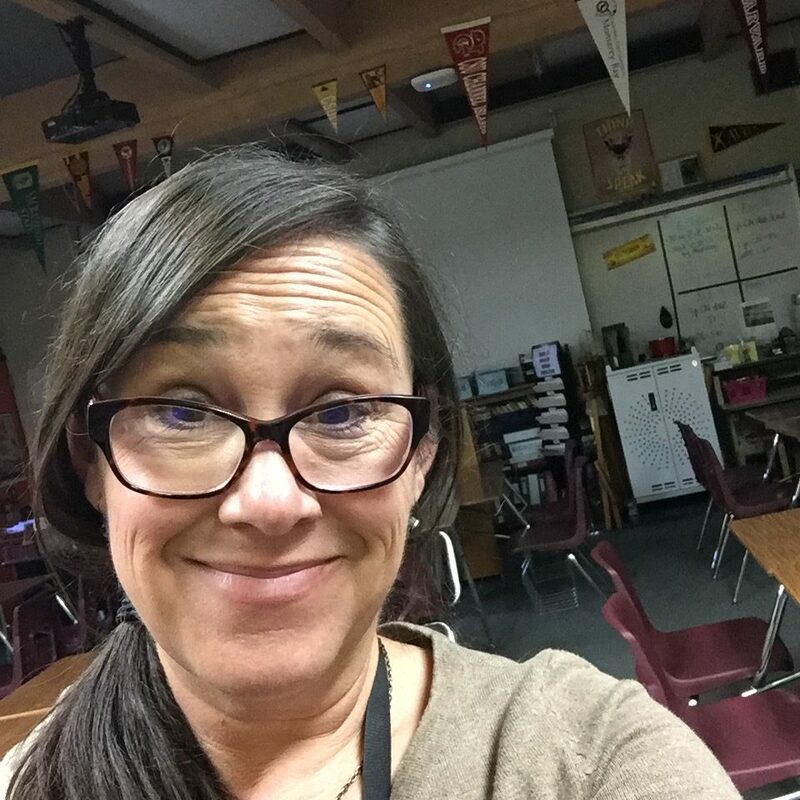 Digital portfolios are gaining in popularity, and I’ve set them up with both Google Sites and by creating shared folders on Google Drive – quite a few of my teacher friends use Seesaw and love it. I’ve also used YouTube to post and share class videos – you can set your channel to private and just share links with parents, too. Google Calendar – I love all things Google, and Google calendar is an awesome way to communicate with parents. I use it for scheduling conferences by creating a separate calendar and sharing it with families. Google calendar is also great for scheduling and communicating about field trips and special events, as well as for setting up guest speakers. Skype, Google Hangout – Once you’re comfortable with utilizing tech for communicating with parents, you could rely on Skype or Google Hangout for virtual conferences – it’s a perfect (and free) tool that could help you meet with parents who have trouble making it to the classroom during the school day, or could help teachers with their own small children find a more convenient time to meet with parents. There’s nothing better than face-to-face time, even if it’s virtual! I’d love to hear your ideas for communicating with parents and teachers in the 21st century – please leave your favorite methods in the comments below! This post originally appeared on The Educator’s Room. These are great tips for communicating with parents. Thanks. Thanks, Steven! Are you a teacher as well? I appreciate your comment.